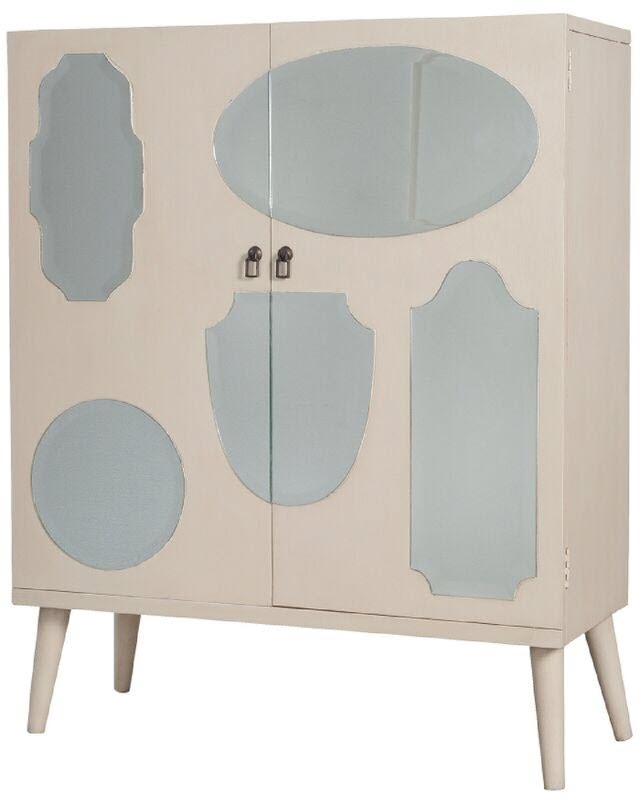 VINTAGE MIRRORED CABINET - Manor White Wash finish on mahogany cabinet with decorative beveled mirror insets. Antiqued hardware. H 50" x W 40" x Depth 16"